Followers of Weird Food Wednesdays know that I am pledged to seek out the weird and wonderful in French food and try to cook it. This inevitably leads to adventures, if only for the taste buds. This week, I tried cooking this. 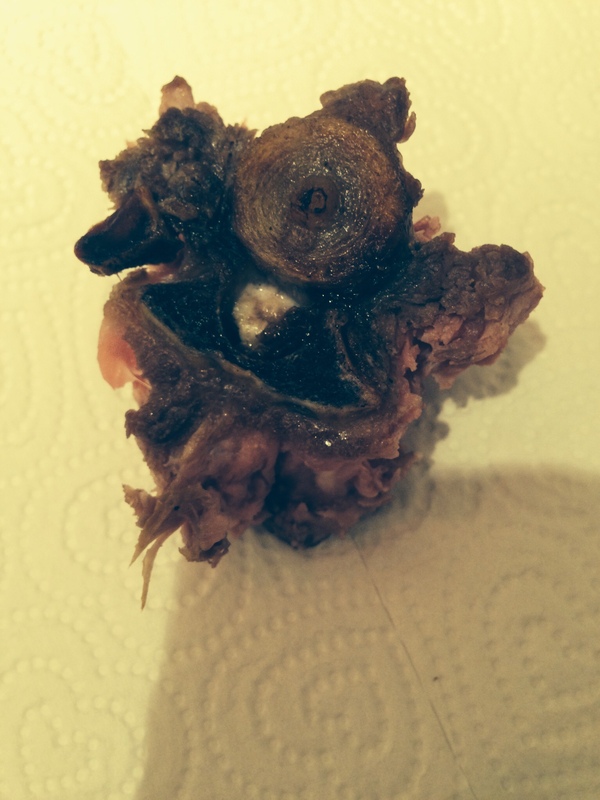 Points if you can guess what it is: animal or vegetable? 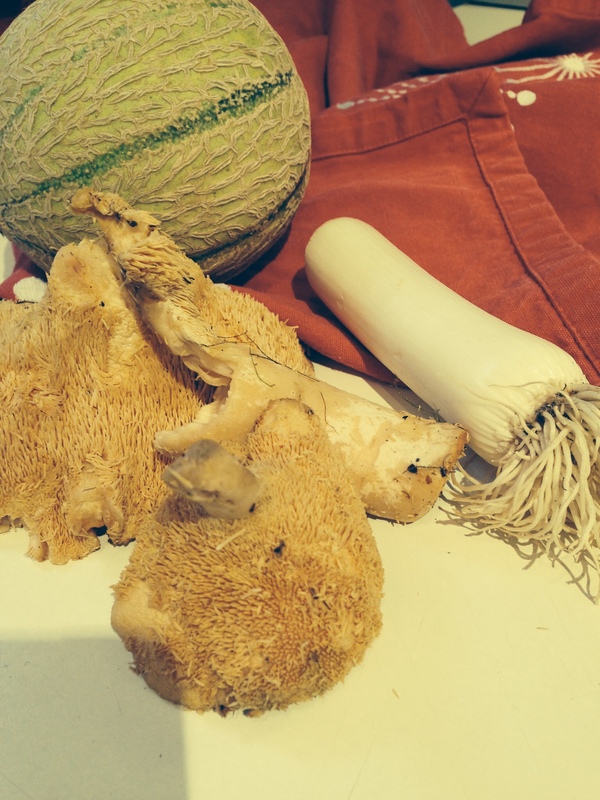 I got these critters, which are vegetable despite their name: pied de mouton (hedgehog mushroom in English). 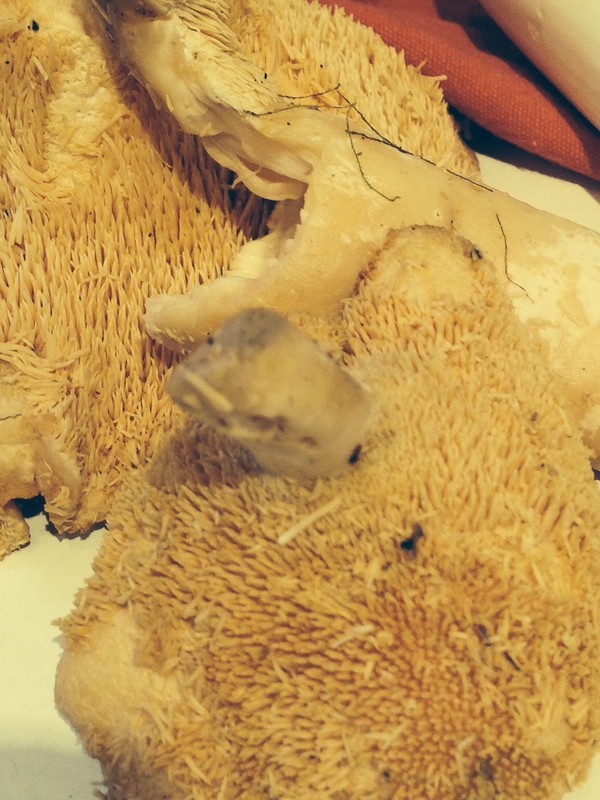 I was hoping when I looked them up, that they would be that other weird mushroom item, oreilles de judas. But don’t worry, I will stay on the look out for these, too. Here is what they look like in scale with other, more familiar items. 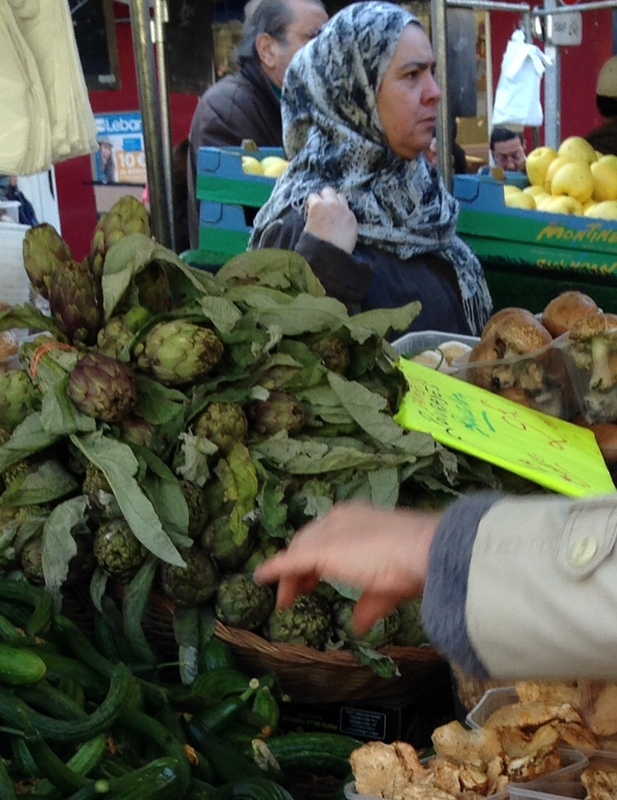 I got them here, the cheapest, most crowded, and certainly noisiest of the food markets in Paris, the Marche Alligre. Here, vendors, many of whom are from Arabic countries, noisily hawk their wares: “Un euro, un euro, les 3 avocats, un euro”. It is as chaotic for the eye and for the ear. Hang onto your purse, and your partner! I sauteed them with leeks until brown. I tried not to crowd the skillet. Took five minutes. I removed them and sauteed up blanc de dinde, turkey breast, which is super inexpensive here. Five minutes per side. 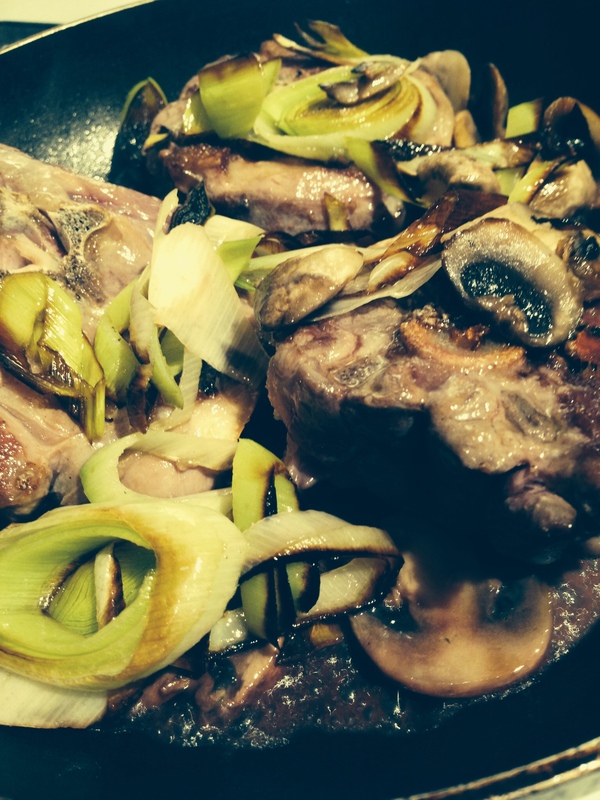 Then I added back in the mushrooms and leeks and half a cup of water – only because I had no white wine around. I stirred in creme fraiche at the end, added herbes de provence and, done! It was fantastic. 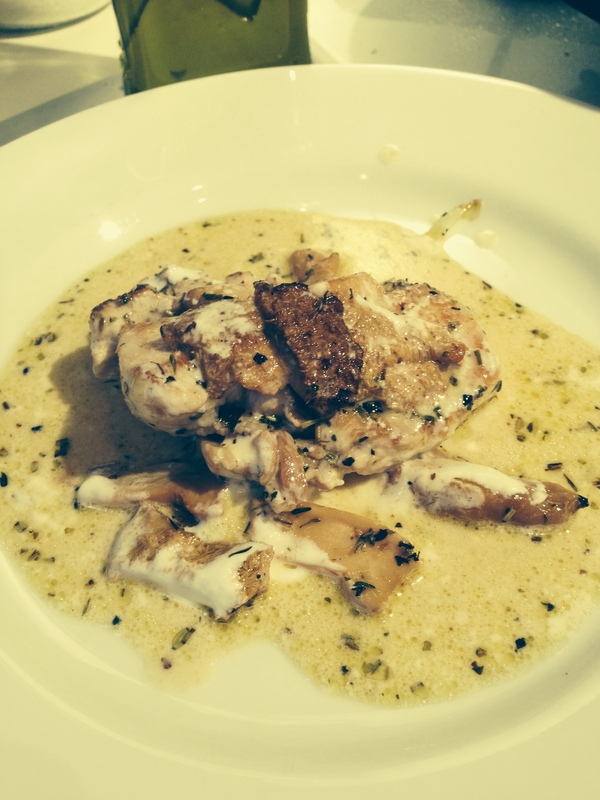 As for the pied de moutons, they were good, tasting quite a bit like chanterelles, except with a meatier texture. Three of these big boys sufficed for the two of us, so this also sweet on the budget. If the moon is made of cheese, it would have a crust like this. I didn’t eat it (the crust, that is). But I did chunk out a piece of the interior which was nutty and had a great texture even if the taste was a little too salty for me. This is a very aged mimolet, from our local Marais vendor , Laurent Dubois. You know you can trust the suggestions of the best worker in France, and I can see how they won this honour. 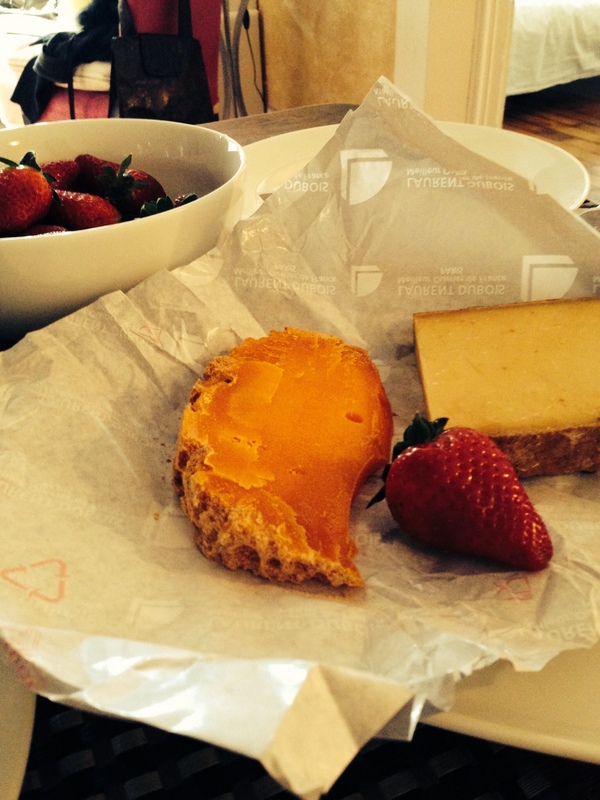 They dish up the cheese with a reverence normally reserved for diamonds and rubies. 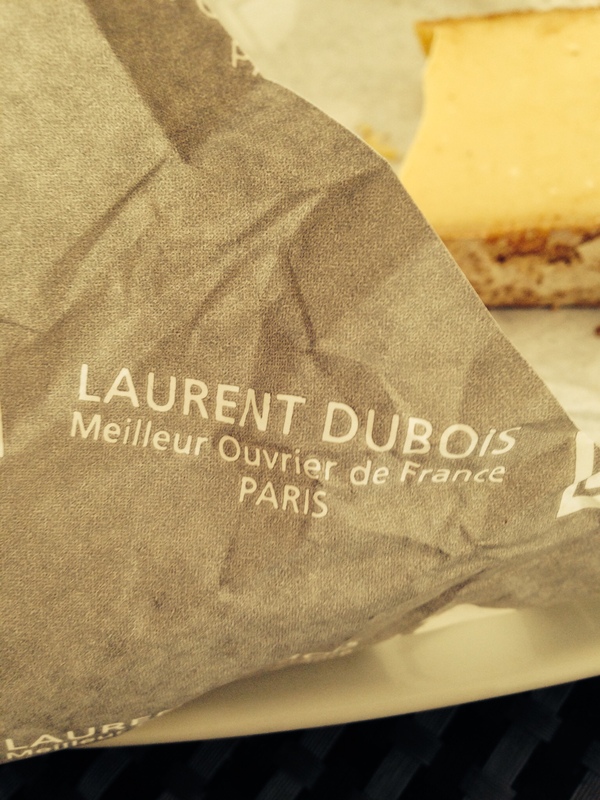 I have offered my husband the honour of best dishwasher in France, but he declined, seeing my ruse for what it was. All this weird food cooking leads to lots of dishes. 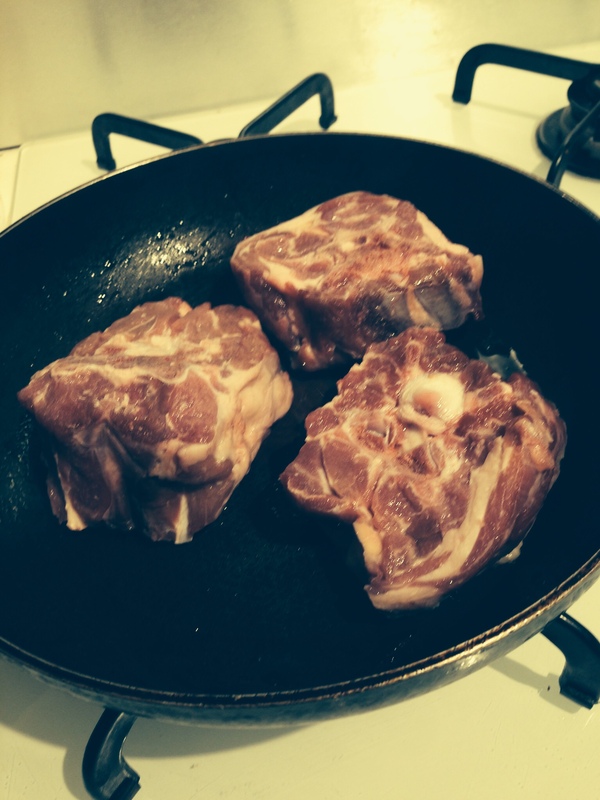 On to the next weird dish, lamb necks. By now you know me, I’m cheap. So are lamb necks. “But how do you cook them?” I asked our Arab butcher. He explained that you just sautee it up and it’s good to go. “Don’t I need to cook it on low heat in the oven for a long time?” He disagreed. I wondered if I should let it simmer for a long period in wine. He demurred. Really not necessary, just make it simple. Okay, he’s the boss. Here’s what they looked like in the skillet. 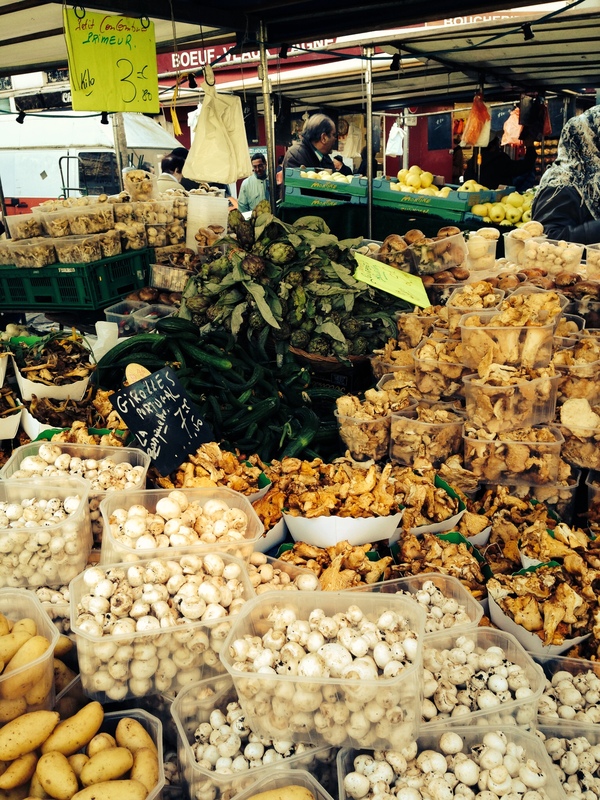 And here, with button mushrooms and leeks. Basically, just flash-fried them. They were good. Tender and toothsome like a great lamb chop. The butcher was right. They didn’t need anything fancy. Just one problem. Super hard to eat. Have you noticed that food gets less expensive when it either takes longer to cook or is harder to eat.? The great exception: lobster, which could hardly be more difficult to eat. Anyway, these little babies were GOOD, but you ultimately had to pick them up and gnaw away. Why? Anatomy. At the risk of estranging you, I show you my gnawed bone. As an artist, I think it looks kind of cool, but you may think it just looks gross. You see what’s going on. The spinal column in its super-structure of bone. Within this butterfly of bone was lots of good eating. If you have the patience.